We won the game; we are into the next round, that’s all that matters isn’t it? With morale low in the team and frustration high amongst the fans the win over Swansea was the perfect tonic. There were as many plusses as there were negatives from the game but we have finally managed to break the hoodoo which Swansea seemed to have had over us this season. I won’t give a match report on the game; I am sure the majority of you watched the game and/or know the outcome however I will discuss some points that became apparent to me from viewing the game. 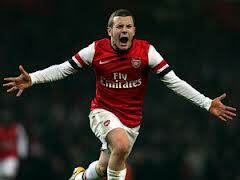 In a season of ups and downs so far one of the biggest boosts to the team is return of Jack Wilshere from injury. He has shaken off the rust, integrated himself back into the Arsenal engine room and is now at the point where he can dominate games. 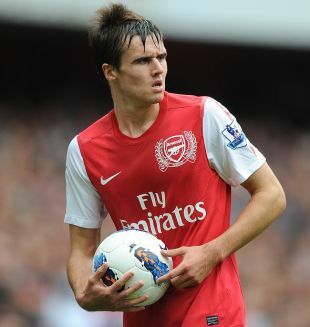 He wears his heart on his sleeve and is Arsenal through and through it is a refreshing sight to see him in full swing. Teams now recognize him as the danger man and target him. Manchester city put that into practise at the weekend but it didn’t break him. As much as I love Santi Cazorla, given his early season form he became a target and at times would play within himself when given the extra attention. Jack has now been receiving similar attention but has managed to brush off the extra attention and still graft it out. Some of the challenges he has been on the end of I am surprised he has got up from many of them but that just shows the steel he has acquired to complement his majestic skill and control. Yesterday Jack put in a man of the match performance which was well deserved despite close competition from Michel Vorm. He drove on the team and was an inspiration leading by example, the icing on the cake was his winning goal to take us through to the next round. It was encouraging to see Abou Diaby starting the game yesterday; after his long layoff he returned to the team on Sunday and managed to play the majority of the game against Citeh with an extra man. I honestly thought that would be too much for his body and so to see him start against Swansea was a nice boost. Could he be over the injuries this season? We’ve been there too many times to be optimistic about that but if he can avoid an absence that lasts as long as the last injury then we will be on to a good thing. His presence in the team provides assurance as he patrols the middle like a big brother to look out for the likes of Wilshere and Cazorla. I hope to see a lot more of the leggy Frenchman for the rest of the season. Francis Coquelin earned a starting berth against Swansea, less of a surprise due to the injury to Mikel Arteta. Whether his selection was deemed by default or not the young Frenchman provided an encouraging performance to show Arsene he can be trusted to perform in the absence of first choice Arteta. He hasn’t reached the point where he dominates from defensive midfield but that’s hardly expected when he hasn’t had a run of games yet to sharpen up his craft. His mobility is one of his great attributes and he offers more to his game than just breaking up play. Wenger may not have started him in many games but he has been here and thereabout in the first team squad often utilized from the bench. Arteta’s injury is a worry but Coquelin can use this opportunity to his advantage and prove any doubters wrong and most importantly give Arsene a massive nudge. It was nice to claim a clean sheet last night, the soft goals have been creeping in of late and so it was encouraging to have a complete shut out. The defence actually put in a good performance, there were the odd scares but in general the team remained focused and kept the Swansea threat to a minimum. The introduction of Michu in the second half which usually equals a goal against us didn’t materialize; this was the perfect outcome leading into the big game at the weekend. We now have a foundation to build on; Chelsea will offer a far different threat but it is still important we remembered how to stop teams scoring. The one nil score line was not a reflection of the amount of chances we had last night. Although Michel Vorm was on a one man mission to thwart anything thrown at the Swansea goal there were a number of chances that you would expect us to score regardless of who was in goal. It was bordering on the point where you felt it was one of those days and Swansea would probably nick a late goal to rub chilli, sand and bleach into your eyes. Thankfully Jack had different plans but the profligacy was worrying and very frustrating on the night. Possibly we were saving up the accurate finishing for Sunday, I sure hope so, Walcott and Giroud I’m talking to you. Much fuss was being made over the number of empty seats seen last night. I believe it is being slightly blown out of proportion; in my experience cup replays have slightly lower attendances unless it’s a game against one of the big boys. Tickets go on sale for less time than a standard league game due to the unpredictability of having to play a replay. Add to the conundrum it is cold as hell outside at the moment, a freezing Wednesday versus the comfort of the couch and TV I think there is only one winner. I certainly don’t think the empty seats were some sort of protest from the fans and it is just mitigating circumstances that resulted in the gaps. Seats are paid for so I don’t think the Arsenal money men will be worrying too much. I think this topic is a non story; the commentators just needed something to talk about. 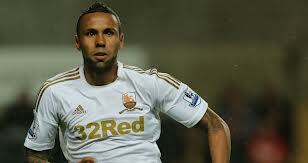 It’s quite frustrating to see Kyle Bartley perform so well against us over the two third round games. You would half expect him to be torn a new one by our forward line but Bartley put in a performance to make a mockery of our decision to let him leave without giving him a chance. A lot of investment was put into the acquisition and development of Bartley and after his loan at Rangers you would think he would be pushing for a first team place. It may have been impatience on his part but I feel he could have offered something to our team if he stayed. His encouraging performance’s against Arsenal makes the fact we still have the likes of Squillaci still on the payroll a bit of a dampener. I am basing this only on two games and former players do tend to raise their performance against their former employee but it will be interesting to see how the career of Kyle Bartley develops here on in. Walcott and Podolski out of game. Can Coquelin help Arteta? Can a bad week get even worse on Saturday? That is the question we would all like to know, we don’t want it to come to fruition, not at all but these days we don’t know which Arsenal will turn up against West Brom. The loss to Olympiacos was shrugged off by the manager, he played a weakened team against the Greeks and in all reality a defeat was far from a shock. On one side of the coin the first team were afforded a rest and a chance to recharge their batteries ready for the battle at the weekend on the other side of the coin the players that underperformed against Swansea were given a chance to pamper their egos rather than prove themselves at the earliest opportunity in the next game. The stats men will be rubbing their hands throwing out all sorts of statistics highlighting how long it has been since we last won and how many games in a row we have lost etc. They don’t care about the relevance of the games just what looks good in their tables and pie charts. Now we receive the news that 1st team players Theo Walcott and Lukasz Podolski are out of the game at the weekend. Surely more ammo to back up crisis talk; all they need to do now is claim Aaron Ramsey will take up the role on the right side of the front three and there will be riots in the streets of North London. The loss of Walcott and Podolski are massive losses to the team, they do bring goals to the team and goals are required until we purchase a striker to share the goal burden with Olivier Giroud. One thing Arsenal has always been good at over the years is pulling off results when we are at our lowest. It doesn’t have to be against a title rival for us to raise our game; we have received the wakeup call last Saturday, the slap in the face to bring us to our senses, refocus and overcome the pain. I wasn’t happy with Arsene rushing back Rosicky into the team on Saturday after he only just returned to training within the past couple weeks. He will be vital to our fortunes for the rest of the season and his cameo on Tuesday gave a reminder to those who may have forgotten his importance to the Arsenal midfield. It was good that the manager saw sense and only played him for one half of the game. 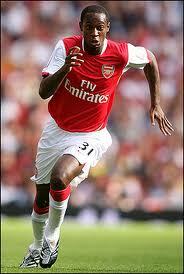 I want him back, badly but I don’t want him broken within 2 weeks like what has happened to Abou Diaby. Just ease him back a bit Arsene, not too much too soon. One thing I would like to see is for Francis Coquelin to step it up to the next level. He has settled in and established himself in the first team squad, he has been called upon when required but to me he needs a breakout performance in his preferred position to show us Arsenal fans we can rely on him as the holding midfielder. It has been quite evident lately that the strain of keeping the Arsenal midfield ticking over is taking its toll on Mikel Arteta. He has done an admiral job stepping into the void vacated by Alex Song however it seems he is in need of a break, the problem is who comes in to replace him? Coquelin is young and has potential but for a player whose main position is as a defensive midfielder he has only really been played in that role in cup games. His appearances in the league has been more to close out games in the dying minutes, his defensive mentality is called upon to add protection to the defence/midfield. Yet Wenger has never taken the decision to rest Arteta and replace him with the young Frenchman. Coquelin did impress last season when played in emergency positions like at fullback when we had terrible luck with injuries in that position. His versatility was essential and a welcome assistance to the team however in his preferred role we are yet to witness that standout performance, the kind of performance that makes you sit back and think he could make that spot his own within time. Even Emmanuel Frimpong last season at that terrible point at the start of last season managed to pull off an encouraging performance against Liverpool which had many neutral observers predicting big things. Yes he got sent off in the game but he did enough while on the pitch against top opposition to show he has a big game performance in him. The injury has set Frimpong back but if he works hard and gets over the injuries he could get back to that level. Coquelin needs to take advantage of any chance he gets and puts in the kind of performance that makes the neutrals take notice. At the moment he is caught in that void where he is just a squad player, he needs to step up to the level where he is talked about as the future successor to the defensive midfield role. I’m not attacking Coquelin, I believe in him as a player and as a fan I want him to grow and improve to the level that the fans feel the team is weakened when he is not around. He is still young as I said but given the current state of the team patience is in short supply with the fans. We need cover in all positions in the team; like for like cover that leaves each position in good hands. Arteta needs a break; Coquelin needs to give Arsene a reminder that he has someone to share the load.